Within a sample taken from an article of evidence, there are substances other than just DNA molecules. In order to conduct a forensic DNA analysis, the DNA molecules must be separated from the rest of the substances. In order to do this, the sample is taken through the process of DNA extraction. There are a variety of methods that can be used to separate DNA from the other molecules present in a sample - including, the use of chelating beads, FTA paper, organic extractions and magnetic bead extractions. 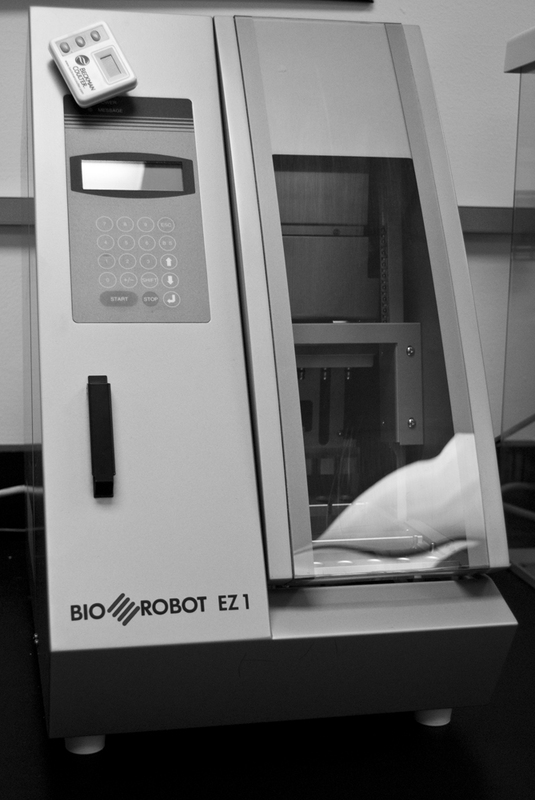 After being extracted, DNA samples must be quantified for two reasons. The first is to ensure that the extracted DNA molecules are human, rather than bacterial, fungal, plant or animal. The second is due to the fact that techniques in forensic DNA are highly sensitive to the quantity of DNA that can be added to an amplification reaction. If too much DNA is added to a reaction, electropherograms down the line are overblown - whereas if too little DNA is added, some locations of the genome might not amplify as expected. 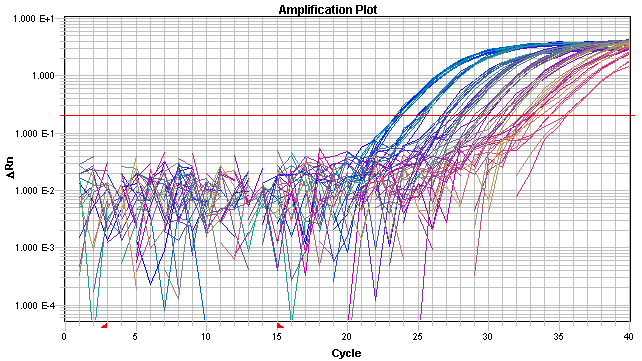 Below is a graphical depiction of an amplification plot in which DNA concentration increases over time and the quantitiy of human DNA can be later calculated based off of standards. Once the concentration of the pure DNA sample is known, it can then be copied using the polymerase chain reaction.